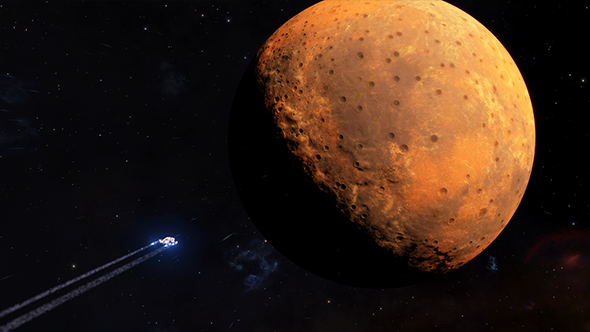 Pilot registration is now open for the next massive “Distant Worlds” expedition in Elite Dangerous, which will chart a path to some of the galaxy’s most remote and least-explored systems. Here’s our list of the 15 best space games for the PC. Distant Worlds II is planned as a trek out to Beagle Point, a notoriously remote system on the edge of the galaxy. Pilots in the past have gotten stranded on their way out there, but that shouldn’t be a problem for the Distant Worlds expedition, which is already planning on assigning tasks like fuel hauling and mining to participants. In all, the voyage will cover about 200,000 light years, and organizers are tentatively estimating that the entire journey will take about 16 weeks. Reaching Beagle Point requires a ship capable of making 33.4 light year jumps, but it’s also possible with a shorter-range ship with Jumponium level 3 fuel boosts. There’s plenty of time to outfit your ship for the trip, if you’re interested in joining up—the expedition won’t launch until all the Beyond content for the game is released, which probably won’t be until towards the end of the year. Interested commanders can register for Distant Worlds II on the Frontier forums.